IPSY is a beauty subscription service that sends you an assortment of four to five beauty items in a cute, decorative bag for $10.00 USD. 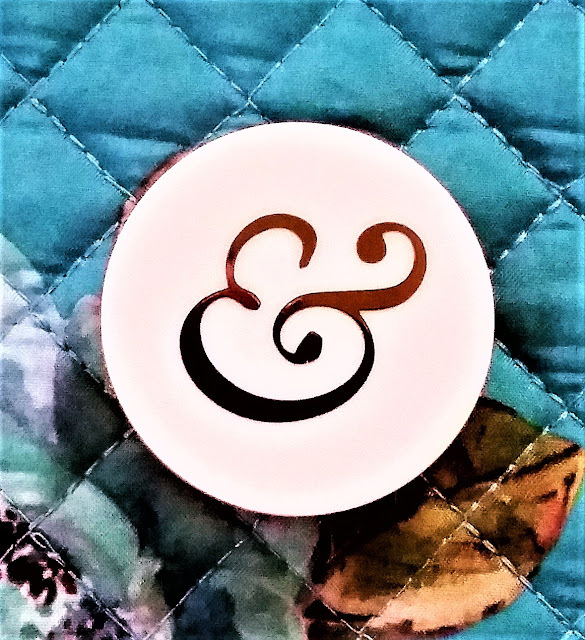 To see what came in the November 2016 Glam Bag, then read this article. It’s that time of the month again for the unbagging of the IPSY Glam Bag. I like most of the items in my bag, but I’m definitely seeing repeats of products. That normally doesn’t bother me. It just means I’m able to make more product comparisons, but I know this can get old real quick with other IPSY subscribers and is probably one of the top complaints that I see. But just like the October unbagging, I will list any codes that each brand may have at the bottom of the page. 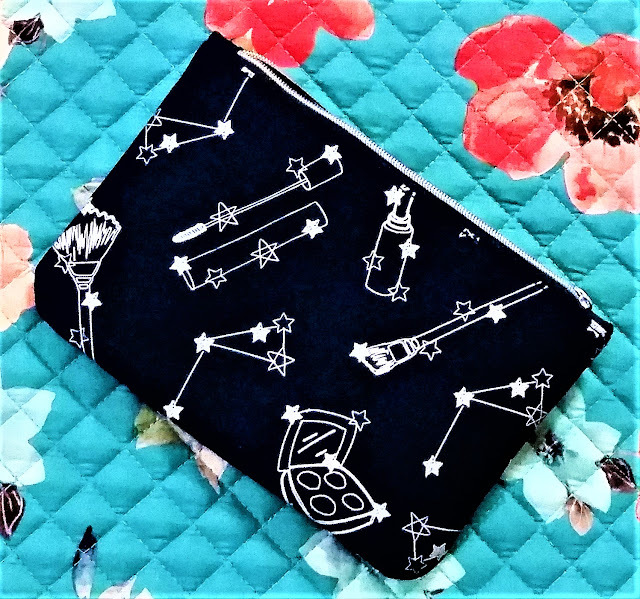 This month’s theme is Rock Starlette, so the bag for November is dark blue with prints of makeup as silver-colored constellations. 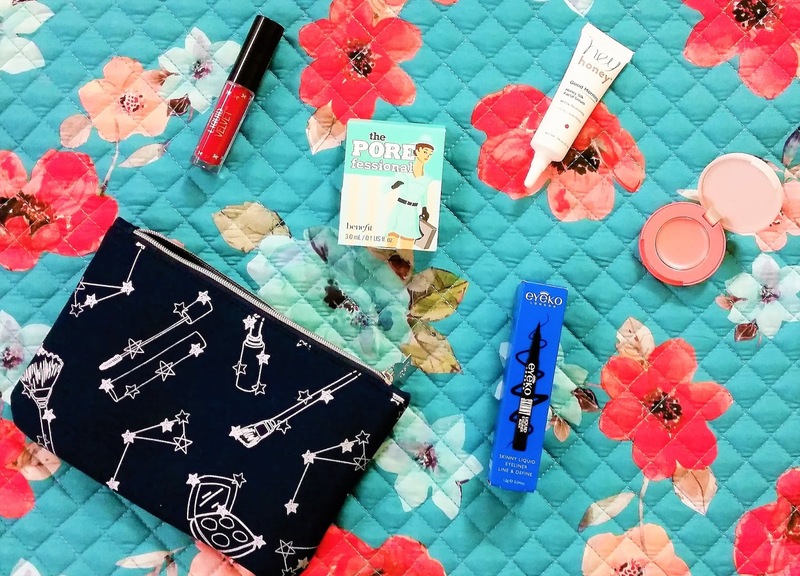 This is super cute and this is definitely now my all-time favorite IPSY bag. It’s girly but doesn’t read as super girly. I love the color of the bag, the print, and silver is my favorite metallic shade. Plus, it has a silver, star-shaped zipper. The first item in the bag is the Ciate London 'Diva' Liquid Velvet Matte Lipstick. I had gotten one of their liquid liners in last month’s bag and now I have one of their lipsticks, which I have heard great things about. 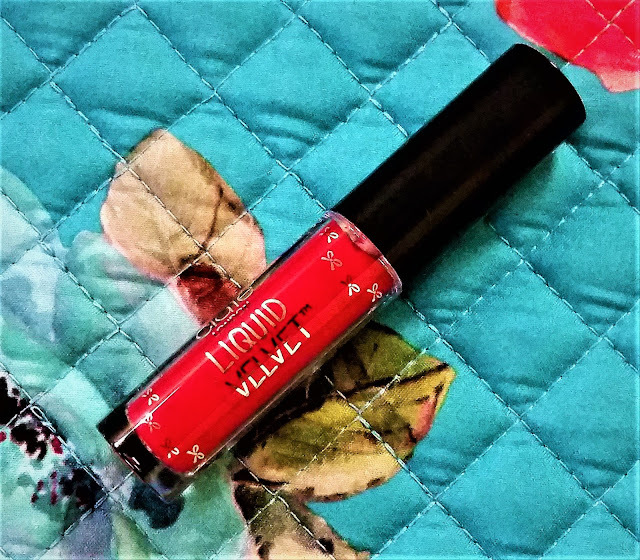 This creamy and moisturizing formula dries to a soft matte finish with hyaluronic acid to condition lips. However, it’s not a hundred percent budge-proof (unlike the Colourpop Ultra Mattes) as it does come off on your fingers when you run them across your lips. 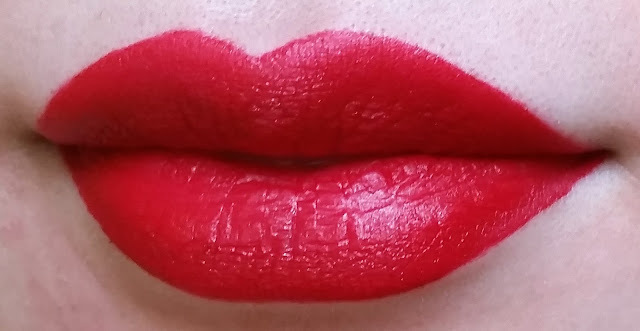 Lip swatch of the Liquid Velvet Matte in Diva. Diva is a true red. 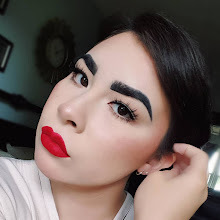 Normally, I don’t wear these types of red shades because your application has to be so clean and on point for it to not look messy, but the color is stunning. Usually, I would do a dupe/comparison shot, but as of right now, I have NOTHING in my collection that it’s even somewhat similar to this color. There are two things I dislike about this product. The first thing would be that it does have a fragrant, floral smell that’s strong enough to where I can almost taste it. The second thing is that I’m not a fan of the type of doe-foot applicator that this lipstick has. It’s a flexible tip that’s flat on both sides, but it tapers to a rounded point. This design is supposed to give you more precision while supposedly being beginner-friendly. But I'm not used to it so it feels clumsy and I ended up over-drawing my lips more than I normally would because I messed up my swatch application. I would rather use the original doe-foot design where the tip is laying flat against my lips than trying to keep a steady hand trying to utilize Ciate’s design. 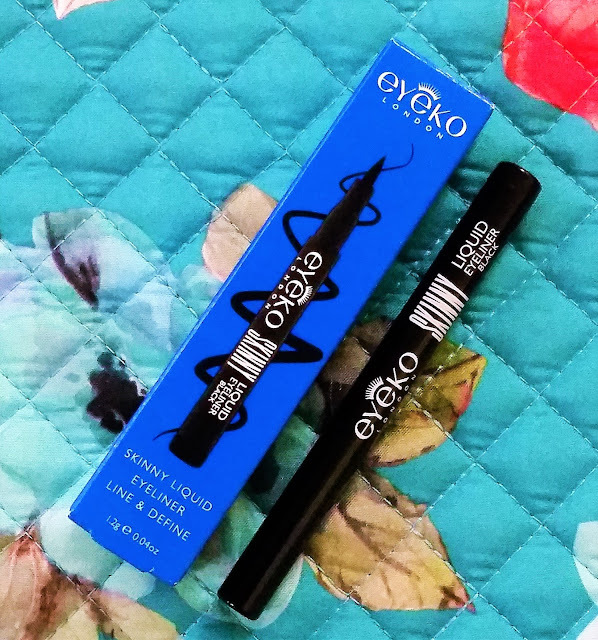 Next item in the bag is the Eyeko 'Black' Skinny Liquid Eyeliner Deluxe. 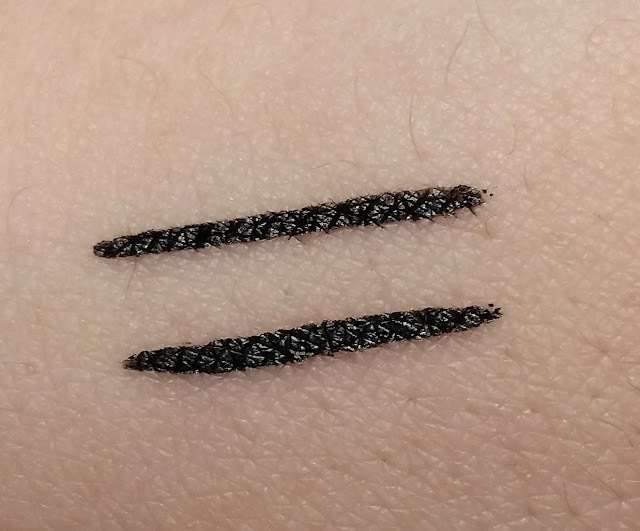 If you read last month’s unbagging, then you know I had gotten a liquid liner of the same type from Ciate London, so I was able to make quick comparisons. This product has a felt-tip pen applicator that claims to have a super-skinny tip that’s great for creating fine lines, smudge-proof (especially on the waterline), and long-lasting power thanks to the ingredient, sodium hyaluronate. Comparison swatch of Ciate London Fierce Flicks (top) and Eyeko Skinny Liquid Liner (bottom). First off, it’s really black, but the tip is not-so-skinny. Compared to the Fierce Flicks by Ciate London, the tip is thicker and shorter. When it comes to liquid liner, I’m well-practiced, but I utilize the sides of the applicator more than the actual tip. Doing my liner that way, I was getting some pretty thick lines because the applicator is thicker in circumference. If you want thinner lines, you have to utilize the very tip. Also, I did experience bleeding and transfer on the inner corner after a few hours, which is typical because my lids are oily and completely hooded in that area. Though I’ll give it props, it does hold up in the water-line, but would I wear a liquid liner in my water-line? NO. The third item is the Benefit POREfessional Face Primer, which is at both Ulta and Sephora. This brand is well-known in the online beauty community, especially in recent months with their new brow products. I’ve heard Youtubers and bloggers rave about the POREfessional Face Primer for its pore perfecting and mattifying properties. 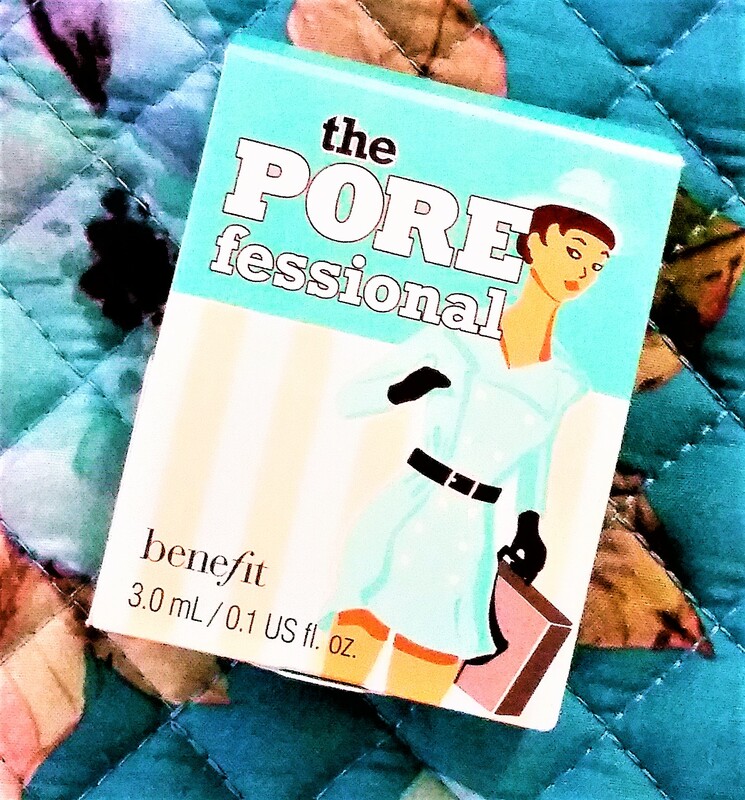 I have Benefit makeup samples, but I never really bought into the POREfessional because I thought it was all hype. I’ve tested it out, but I can’t really tell if it made a difference because the type of foundation I wear is full-coverage and already does a great job of concealing my pores. The weather has also been cold and my skin has been uncomfortably dry lately, so I can’t really test its mattifying properties. This is a product I would probably have to test at a later point. 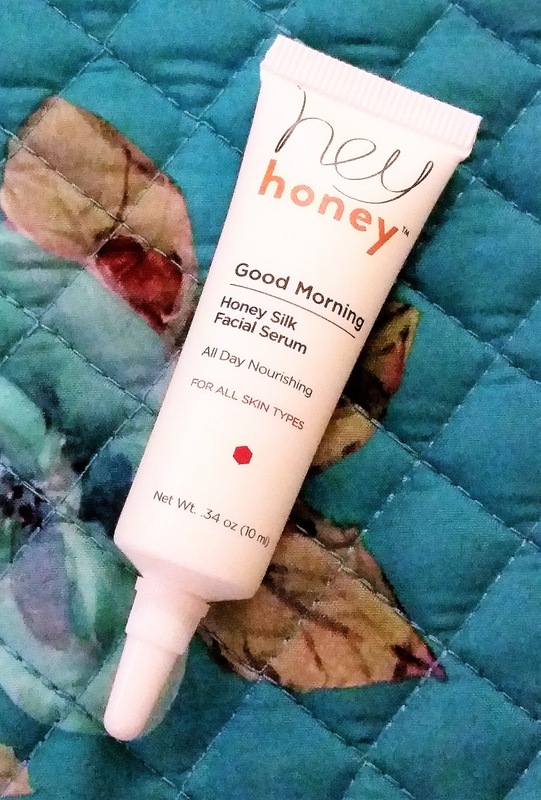 The next item is the Hey Honey Good Morning Honey Silk Facial Serum, which is a honey-based brand. In addition to honey, this product contains aloe vera leaf juice and honeysuckle extract. I’ve been using this every day because it’s lightweight and hydrates for all-day moisture, which with how dry my skin has been lately, I needed it. They say that you can prime your skin with this for a smooth makeup application, but I can’t confirm that because I ran out before I could use it for that purpose. I would completely recommend this because honey is one of those miracle foods with many skin benefits that works for all skin types. Honey even works for acne-prone and oily skin because it’s anti-bacterial and is naturally moisturizing without clogging pores (it actually helps unclog pores). And the last item is the LAQA & Co. 'Peacher's Daughter' B’lighter, which is cuteness plus convenience. A brand with adorable, yet portable packing. 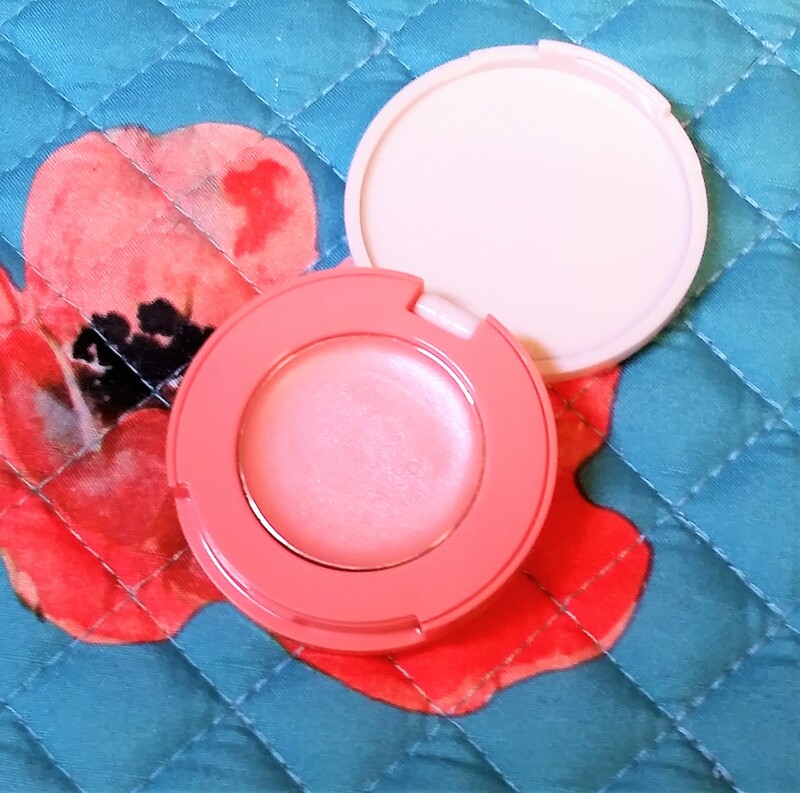 The B’lighter is a cream blush and highlighter product (hence the name B’lighter) and the shade I have, Peacher’s Daughter, is a peach color. Not going to lie, it’s really cute and the shade name is pretty clever. I’m aware peach highlighters are currently on trend, but this is the third time I’ve gotten a peach highlighter and I’m not a fan. 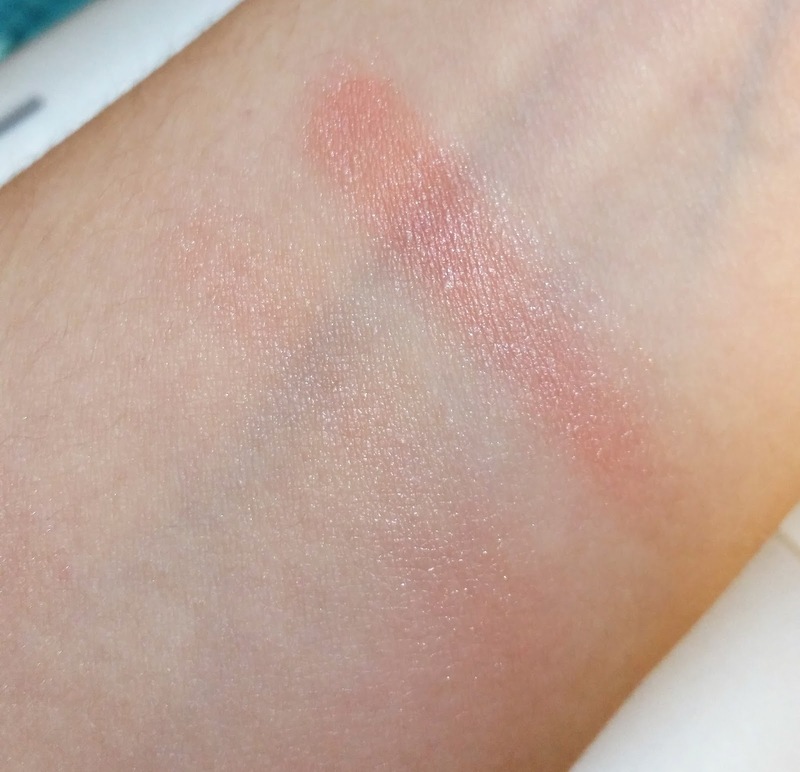 Swatch of LAQA & Co. 'Peacher's Daughter' B'lighter sheer application (bottom) and full application (top). The B’lighter is still a nice product. It’s shimmery without being chunky, pigmented, and blends out well because it reacts to the warmth of your skin. If you want to build it up for more pigment, you can, or sheer it down. I personally don’t care for peach highlighters. I’m more into white highlighters and on fair skin, peach highlighters can look like shimmery blushes, which I don’t wear. But when you lightly dab the B’lighter on for a sheer application, it works for those of lighter complexions. A medium to full highlighter application is more ideal for medium to deep skin coloring. As a blush or even a blush topper, it works for most of the skin spectrum. If you’re interested in subscribing to IPSY, then you can do so at www.ipsy.com.